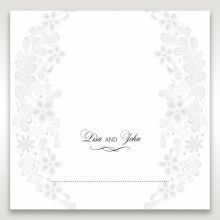 This Gate Fold Embossed Floral invitation is perfect for a garden themed event or as a preview to your embroidered, Victorian style wedding gown. 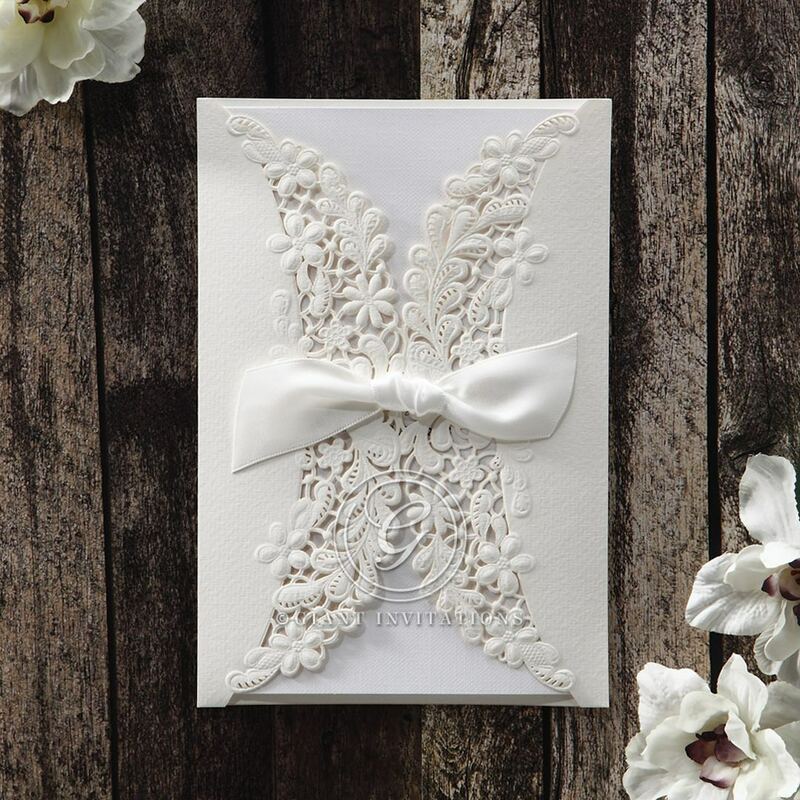 The soft bow in the center, holding the two sides of the "gate" closed, reveals the personalized invitation beneath. This is an imported item, and the country of origin is printed on the back. 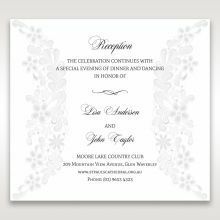 The invitation itself is printed in embossed ink, for even more elegance. 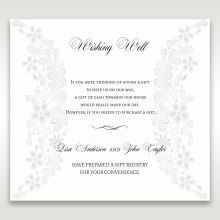 The wording and layout are customizable within the white-on-white heavy duty cardstock. 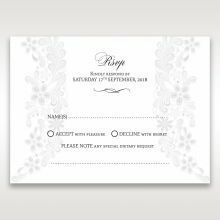 As with all other Giant products, you can select the envelopes you want, along with matching stationery such as RSVP Cards, Accommodation Cards, and more. We ordered these invitations for our upcoming wedding, and they are absolutely gorgeous. 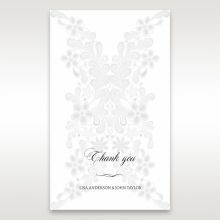 The ordering process was super easy, and the final product was exactly what is displayed in the photos on their website. And the font options are great. 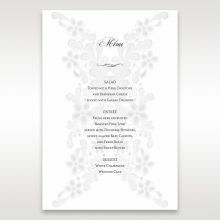 The slightly raised text gives the products a gorgeous professional feel and appearance. We loved the invitations so much that we're now ordering "menu" cards and "order of service" cards. 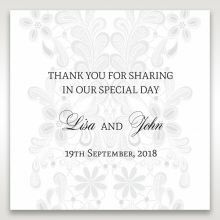 We ordered our invitations and RSVP cards from the Everlasting Love product range, with some extra art work of our own added in the design phase. The design, proofing and production of our invitations was seemlessly handled by Giant Invitations. 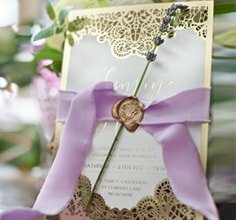 The finished invitations were simply fantastic, and we could not have been any happier with the service provided or the final product. 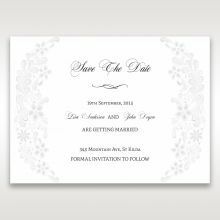 We have subsequently received many comments from family and friends as to how beautiful and elegant the invitations are. So many beautiful options - loved this classical one. This card is gorgeous and very elegant. I will definitely be using this for my wedding! Elegant, Classic and very inviting! 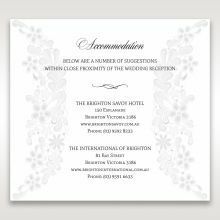 Again well done Giant Invitations on the beautiful designs! The invite is really pretty, although appears a little bit small for my liking. Really nice insert which you pull out from the invite. 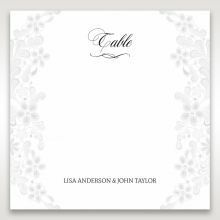 This is a very beautiful and elegant invitation, we love it and will be ordering it for our wedding. Very classic! So beautiful and elegent - Will be using these for our wedding! These are so beautiful. We're so happy to have chosen these as our wedding invitations!